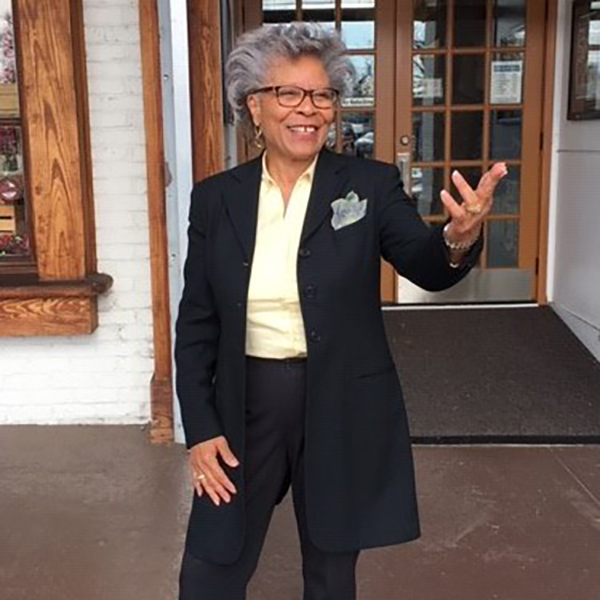 Alumna M.J. Simms-Maddox (MA, PhD), a two-time Ohio State graduate from the Department of Political Science, currently serves as a tenured professor and chairperson for the Department of History and Political Science at Livingstone College. She recently spoke with us about her time at Ohio State, and how her studies and work shaped her writing career. Simms-Maddox will also participate in the 2019 African Literature Association Annual Conference at the Renaissance Downtown Hotel in Columbus, May 15-18, where she will have a display featuring her books. How was your overall experience at Ohio State? I enjoyed my time at Ohio State from my arrival in February 1974 to my graduation in June 1991. When I first arrived, I had not made any plans for housing, but, miraculously, the residence director at Morrison Towers found a room for me, which became my residence for three years. I am convinced to this day that the diverse enrollment inspired my desire to travel. I also liked the fact that there was something for everybody, e.g., the extracurricular activities, the various programs offered, the many libraries and the impressive architecture and landscape. Tell us about some of your favorite classes and professors. With respect to my favorite classes or professors, Professor Philip D. Stewart inspired my interest in Russian politics and Professor Herb Asher inspired my appreciation for quantitative analysis. But after I completed my comps, I set out in another direction for over a decade. In fact, I would not possess a doctorate today, if Herb Asher had not encouraged me to return. That kind of follow–up is not something that one expects from an institution as big as The Ohio State University! Can you talk a bit about your current position, and how Ohio State helped prepare you for your career? Teaching assistantships — and pretty much every course that I took at Ohio State — prepared me for the challenges of teaching at what turned out to be four different colleges and universities. I am currently a tenured professor and the chairperson for the Department of History and Political Science at Livingstone College. However, if I had to name a single course, it would be a course on "The American Presidency." It empowered me to intrigue students with stories about American presidents, to facilitate community forums on presidential debates and General Elections, and to write informed opinion editorials. Could you tell us a bit more about your fiction writing career and "The Priscilla Trilogy"? I first began writing fiction around 1999, after I experienced a recurring dream about a conversation that I had had with my father in 1980. I shared the details with a friend, and she told me, “MJ, the next time you have that dream, write it down,” and I have been writing ever since. 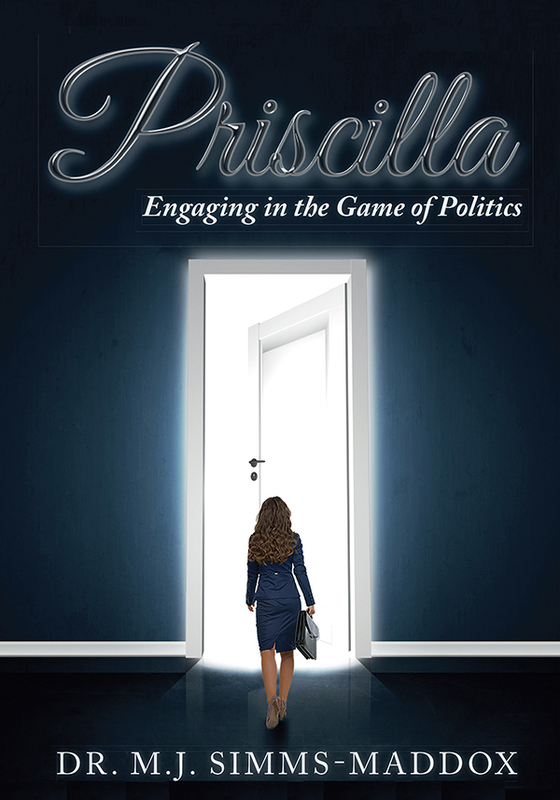 Though fictionalized, my time as a student at Ohio State in the 1970s and as a legislative aide in the Ohio Senate in the early 1980s play prominently in my first novel, Priscilla. The subtitle, Engaging in the Game of Politics, came later. In the beginning, I had no idea that I was writing the first of a three-part coming-of-age series, hence, "The Priscilla Trilogy"! Simms-Maddox is the author of The Priscilla Trilogy, based in part on her time at Ohio State. A collection of travel stories was the impetus for my second novel. But the stories fell flat, so I drew upon events from the middle 1980s, especially terrorism abroad, and from my time as a legislative aide in the Ohio Senate, both of which are integral to the plot. Before I knew anything else, I had created my first thriller, Mystery in Harare: Priscilla’s Journey into Southern Africa. The Ohio Stadium is the setting for the final chapters in Three Metal Pellets, which portrays Priscilla finally becoming the woman she was meant to be; and, once again, that single course — The American Presidency — came in handy, because it helped me to embellish the plot, as well. That all three novels have political plots reflects the political scientist in me. How has your writing impacted your life? During the summer and fall semesters of 2018, I took a leave-of-absence from my faculty post and exhibited at the Harlem Book Fair (July 21, 2018), the South African Book Fair (Sept. 7-9, 2018) in Johannesburg, and the Göteborg Book Fair (Sept. 27-30, 2018) in Gothenburg, Sweden. It was absolutely refreshing to interact with people from other cultures who were interested in my work as an independent author (I publish my own books). Although I have yet to become a bestselling author, my readers always ask when my next book is coming out. As a writer, there is no greater feeling than the realization that someone appreciates one’s literary work. I owe my passion for creative writing to my connection to a family of creative artists and to my many experiences, of which rigorous graduate study at The Ohio State University is significant.